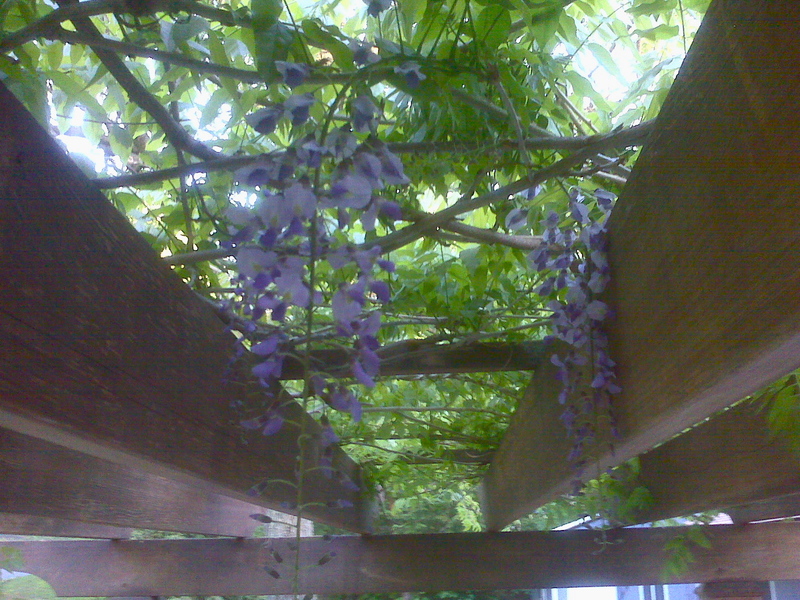 The wisteria vines on our pergola are in full force, to say the least. We suspect that they are on steroids. We predict that they are going to take over the world. 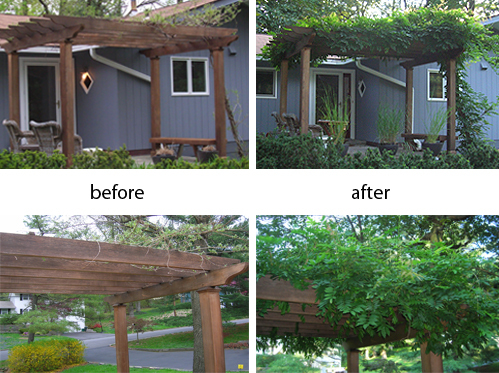 The wooden pergola by our front entrance is one of things we loved about this house when we first saw it. It spans a platform covered in slate and basically serves as a front porch. When we first visited the house, it was January, so the pergola created an attractive space, yet it was essentially bare. Little did we know that the wisteria that creeps up and around one of the posts then across the structure every spring would turn out to be a living, breathing and extremely aggressive life force. Little did we know that this would consume pretty much our every waking moment in the spring and summer. I am not exaggerating when I say that you can actually see this thing growing. The vines get thicker, and longer, and they curl (not unlike my hair after all those perms I got from the ages 11-19.) (Oh, the 80’s). Hence, we are often forced to refer to this not as the pergola, but the permola. I’d estimate conservatively that, on average, he trims the permola approximately every four minutes. Fending off the advances of this plant has made us slightly frantic and all kinds of paranoid, but this little biosphere has has also brought much joy. 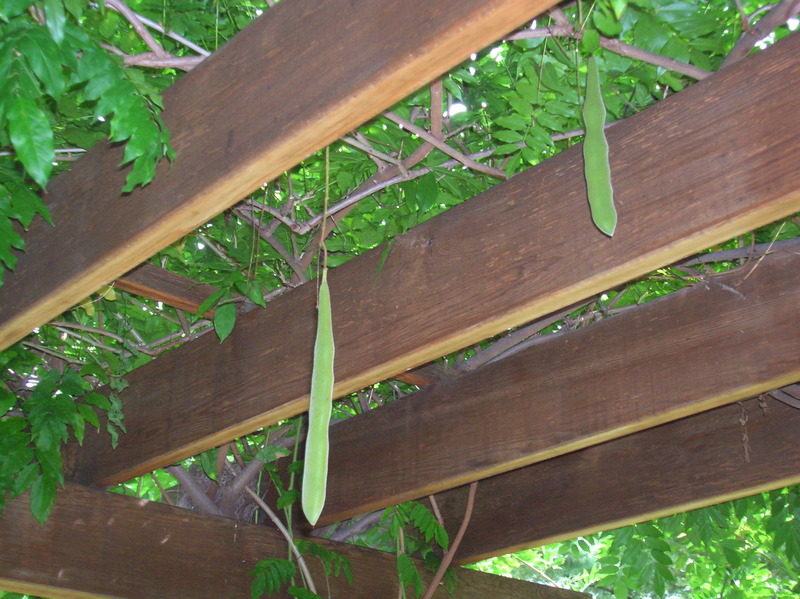 For example, one day these bean-like pods suddenly appeared. To quote my brother, Brad: “Now that’s some edamame.” Soon thereafter, they became the most beautiful lavender flowers. Turns out this process happens in both the spring and the late summer. And in the spring, a Robin built a sturdy nest right in the corner. 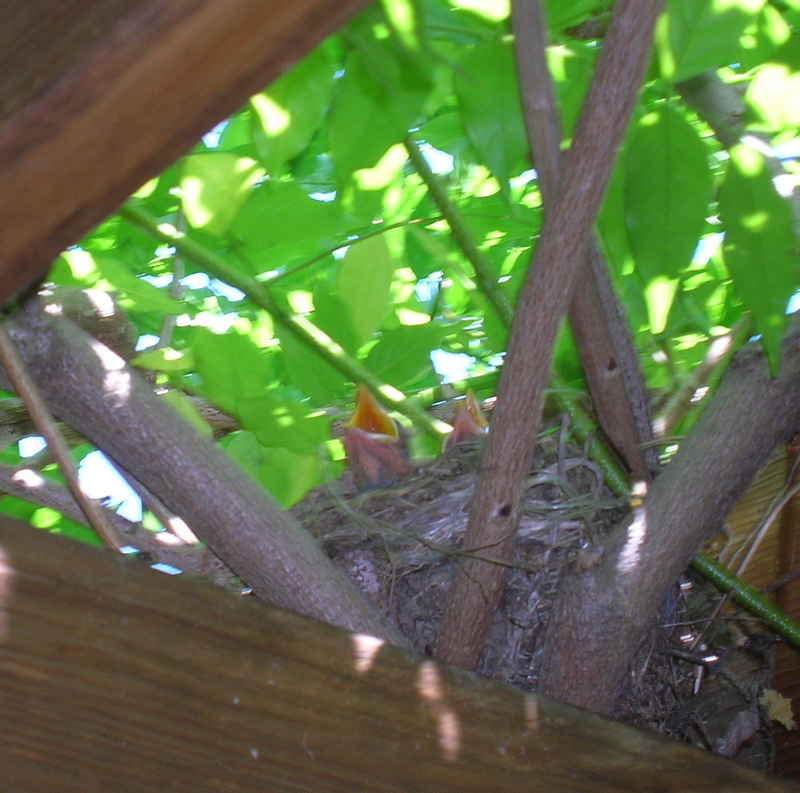 And before we knew it, there were three little babies, straining their necks, waiting for worm deliveries. My sister-in-law, Marcy, was visiting from Ohio at the time, and we were mesmerized. Watching this feeding frenzy was as fascinating as any movie. Mostly, the permola/pergola is the site of the most extreme and delicious R & R. Think coffee, think glass of wine, think book, think staring off into space. 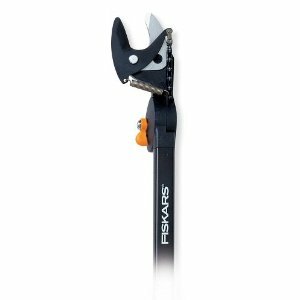 Of course, this is punctuated by emergency trimming and straining to detach the vines that have started to wend their way around your neck. But it’s well worth it. 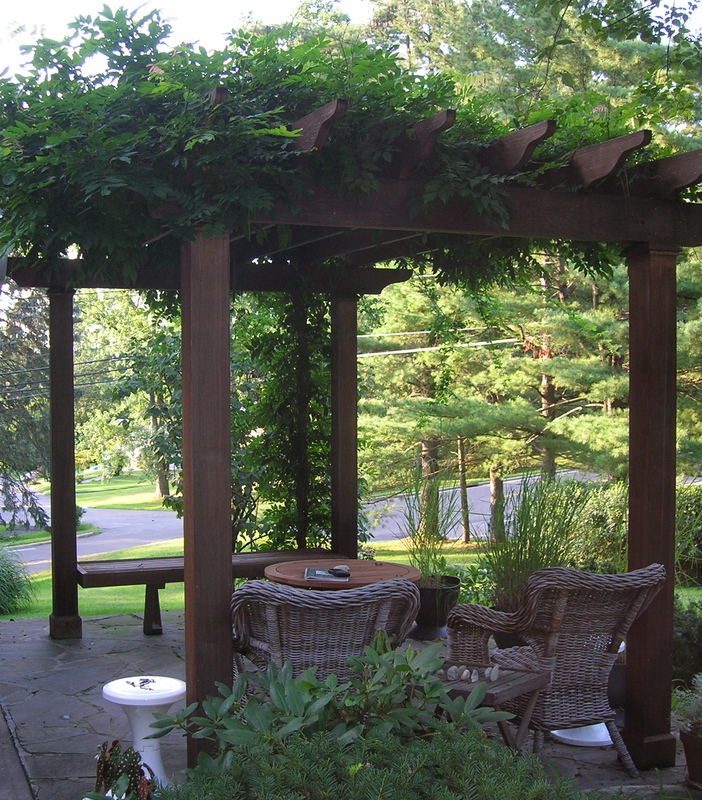 If you are thinking of including a pergola in your landscape and brave enough to invite in some wisteria, I do recommend it. Healthy as this wisteria is, we have only seen two flowers on ours: does anyone know how to cultivate more? 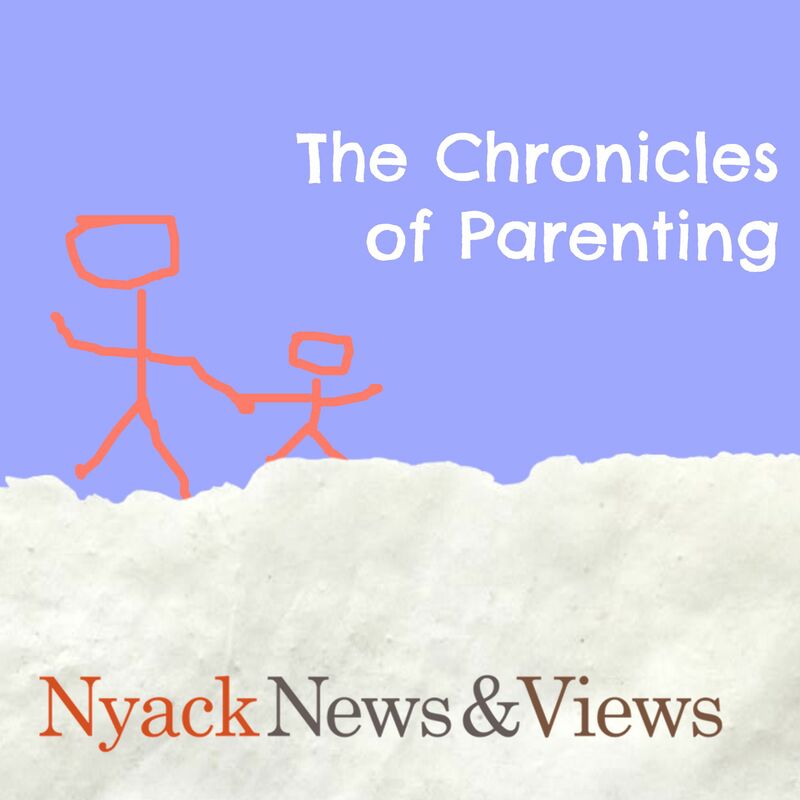 If so, please click on “leave a comment” below. P.S. I have a very quick and free Poison Ivy remedy that you can probably find close to home. Healing scabs in two days…, immediate itch relief. It’s an herbal tea that you spray on for unbelievably immediate relief. No doctor will ever tell you even if he knew. Contact me if interested. Thank you for all your info – fear not, I had no intention of eating any of those mushrooms! dont feed this thing!!! ever! dont even water it! 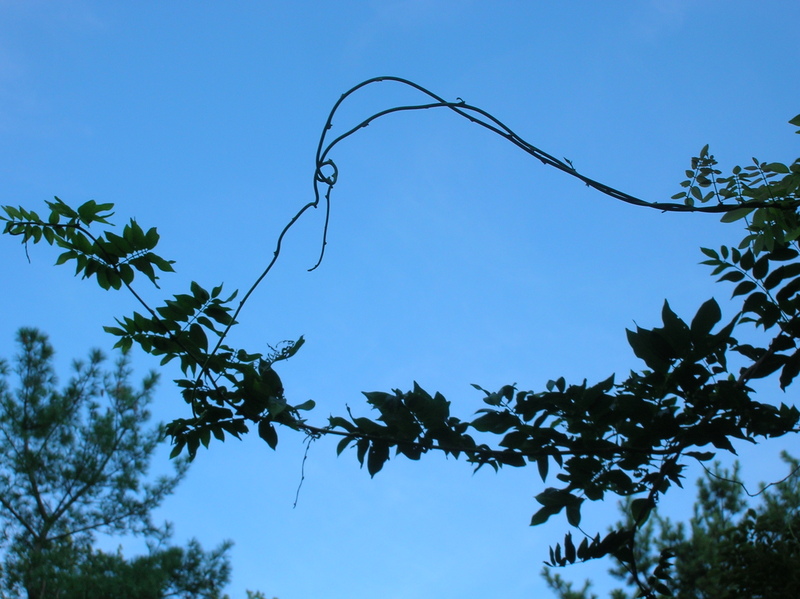 wisteria love neglect (aside from pruning) agressive pruning in feb. and again in july will cause the vine to flower. hope im not too late…yours looks great. I hope your lovely wisteria is still growing beautifully and not scaring you too much. Your problem with lack of flowers may be that Rob is pruning it too often. Every 4 minutes may be a bit much? Definitely remove those curly twining tendrils, but leave most of this year’s growth to mature and that’s where the flowers will come from. Prune it heavily in Autumn when it has lost its leaves, and a light prune in late spring/early summer after the main flowering has finished. This will encourage another bloom in late summer. Also as Guy suggested, give it some food high in phosphorous but low in nitrogen (phosphorous = flowers; nitrogen = leaves). Well, it seems you have gotten all the advice you need, but I will agree that; as with many flowering plants, pruning too much will result in less flowers. I’m curious to hear if the advice was useful and you have built a cohesive relationship with your wisteria. Maybe even renamed it. It sounds like it provides a lot of joy.